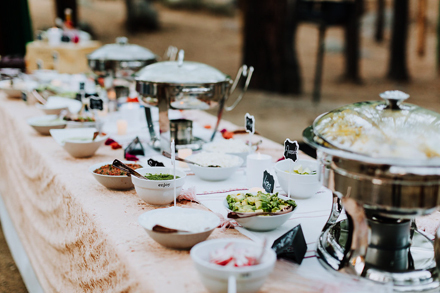 That is the list of 34 items that made up the Wedding Taco Bar. So that only leaves the Creamy Cilantro Sauce, Refried Black Beans, Tomatillo Rice and Cilantro Chimichurri. 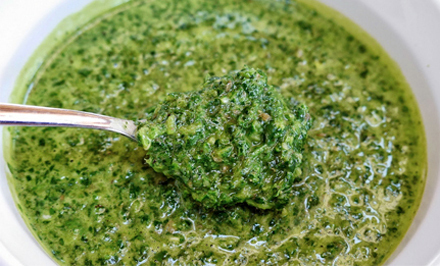 Since the chimichurri is an easy “dump in the blender and turn on” recipe, we’ll start with it. Combine all ingredients in a blender and blend, starting with by pulsing, then turning on full speed until finely chopped.